The card-to-impossible-place plot is almost as old as card conjuring itself with the earliest ancestor of the trick we now call the Card To Wallet appearing as "The Card in the Pocketbook" in early magic literature. 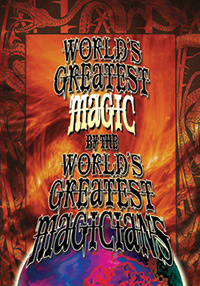 Over the next two centuries, magicians devised a myriad of ways to create the effect of a selected playing card appearing mysteriously in the performer's wallet, and in this collection, you'll find an amazing variety of methods for all skill levels. John Mendoza begins with two selections appearing in the zippered compartment of a wallet that was in plain sight throughout the routine - and there's no palming involved. Likewise, Alexander de Cova has devised a way of recreating the famous LePaul effect of a signed playing card appearing inside an envelope, and, once again, there is no palming involved. Michael Ammar is next with an extremely logical approach to the effect as a torn playing card visibly changes into a credit card, while, naturally, the playing card is found restored in the performer's wallet in the space previously occupied by the credit card. Then, Eddie Tullock, the king of trade show performers, demonstrates how to turn a basic card-to-wallet effect into a powerful promotional tool. Dan Fleshman offers his take on the classic Red Hot Mama effect with a socko wallet finish, while Alex Elmsley demonstrates a card-to-wallet effect that uses no gimmicked wallets and is virtually always ready to perform. Finally, Eric DeCamps presents his card in wallet routine with three selections that can play in a stand-up as well as close-up situation. 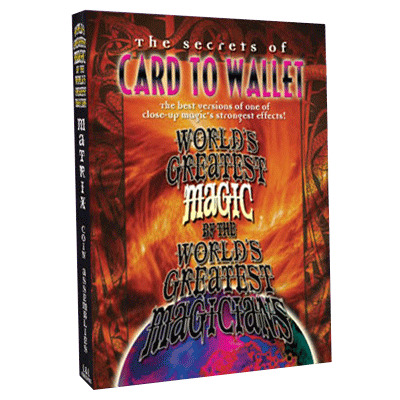 The discovery of a chosen - and oftentimes signed - playing card in the magician's wallet is a centuries-old crowd pleaser, and if you're looking to add this all-time audience favorite to your repertoire, you won't find a better starting point than this collection.